If you have an old eyelash curler that is destined for the garbage bin, and need a new one that is high quality and affordable, then you ought to seriously consider the iconic Shu Uemura Eyelash Curler. It is high quality, sturdy, affordable, and will last for years and years. I often don't bother wearing mascara- so curling my lashes adds a different level of depth to my eye makeup on the days that I skip mascara, and it frames my eyes in a way that uncurled lashes fail to do. That said, the effect of curled lashes is far more pronounced when done in conjunction with a couple coats of mascara, and good quality tools always make a big difference. The Shu Uemura curling mechanism, itself, fits the shape of my eyes perfectly, and without any pinching or discomfort. The black silicone pad offers plenty of cushion, and it facilitates the perfect pain-free curl. The silicone is very good quality, and while it is dense enough to create a very impressive curl, it is also soft enough to be comfortable when it is nestled into your eyelashes. The grip feels comfortable in the hand, and the curling portion opens up widely enough to make cleaning it very easy. The care with which Shu Uemura has constructed their Eyelash Curler, and the overall quality of the materials used, is among the reasons that they have retained their cult-status for so many years. Upgraded silicone pad in a new "mushroom" shape provides a protective, stay-put edge for improved safety and optimum curl. Upgraded patented hinge with precise engineering applies perfect amount of pressure on eyelashes. Curved angle suits all eye shapes. Calculated shape and size of frame length and ergonomic handles ensure stability and control. One refill pad included. Overall Assessment: As soon as you unbox and use Shu Uemura Eyelash Curler, you realize why it has remained wildly popular all of these years. 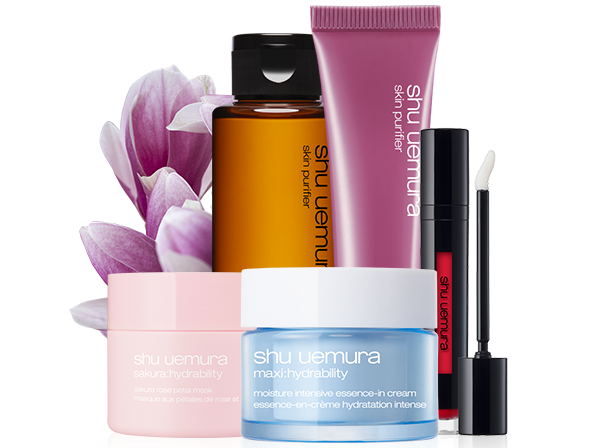 $21.00 from Shu Uemura USA and $25.00 from Shu Uemura Canada (Affiliate Links). This is my holy grail eyelash curler. I remember when I picked up my first one at Sephora (when they carried it VERY briefly). Its wider than any other curler I've ever tried. I have a box full of almost every brand. The curve is also flatter than most. It never pinches and gives me wonderful results! I love that you posted about it. I am so glad that you have this wonderful eyelash curler, and COMPLETELY understand why it has achieved holy grail status for you! Your assessment of the curve is absolutely spot on! I love this so much!